The Los Angeles Chargers on Monday re-signed backup quarterback Kellen Clemens and placed linebacker Denzel Perryman on the injured reserve list. Perryman injured his ankle in the preseason opener against the Seattle Seahawks but the team hopes he could return later this year. 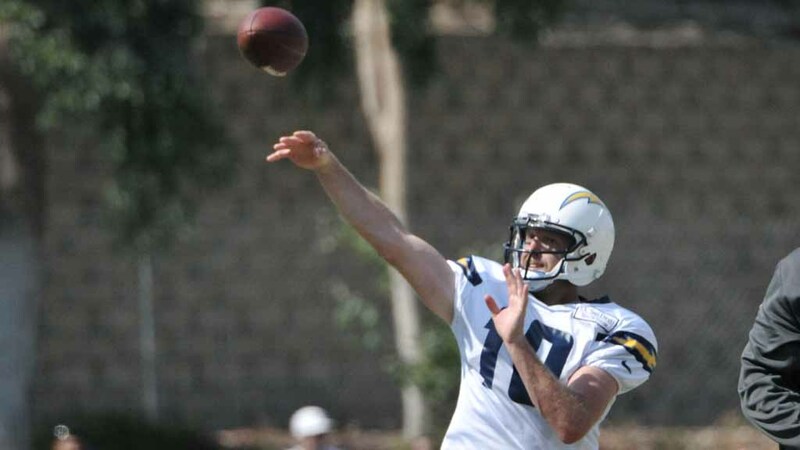 Clemmens, who spent the past three seasons with the Chargers, throwing 10 passes, was cut Saturday to reduce the Chargers’ roster to the 53-player regular-season limit. He played in the Chargers first two preseason games. He had two passes intercepted and botched a handoff in a 48-17 loss to the Seattle Seahawks Aug. 13. The Chargers were scoreless in their seven first-half possessions with Clemens as quarterback in a 13-7 loss to the New Orleans Saints Aug. 20. On Sunday, the Bolts claimed cornerback Jeff Richards and guard Michael Schofield on waivers Sunday and waived receiver Geremy Davis and cornerback Craig Mager to make room for them on their roster. Richards, 26, was waived by the Carolina Panthers on Saturday as they reduced their roster to 53 players. The 6-foot-2-inch, 220-pound Richards has never played in an NFL regular-season game. He played for the Canadian Football League‘s Ottawa Redblacks in 2015 and 2016 and the Arena Football League‘s Spokane Shock in 2015. Schofield spent the past three seasons with the Denver Broncos. Davis played three games with the Chargers last season but did not catch a pass. He was chosen by the New York Giants in the sixth round of the 2015 NFL draft and played 10 games for them in 2016, catching two passes. Mager spent the past two seasons with the Chargers, playing 21 games and starting 10 times, including eight in 2016. He was chosen in the third round of the 2015 draft. The Chargers added seven players to their practice squad they cut Saturday — guard Brett Boyko, cornerback Michael Davis, cornerback Randall Evans, wide receivers Andre Patton and Artavis Scott, defensive end Whitney Richardson and running back Andre Williams. Williams is the only player added to the practice squad who has played in an NFL regular-season game. Williams has played 33 games over three seasons, one with the Chargers in 2016 and 16 each with the New York Giants in 2014 and 2015. The Chargers have seven spots remaining on their practice squad. The Chargers also announced Sunday they had reached an injury settlement with offensive tackle Tyreek Burwell, who played 16 games with the team over the past two seasons.